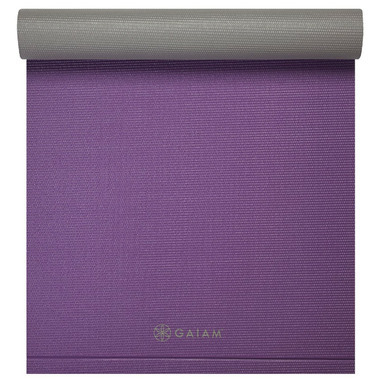 Rolling your yoga mat has never been easier! The Easy-Roll mat features a folding divot that starts the roll perfectly, every time. At 6mm thick, the mats provide a solid base and extra cushioning for any practice. Perfect for home or studio use, this mat is also reversible and ensures the safety and comfort you need to enhance proper alignment and go deeper into postures safely.